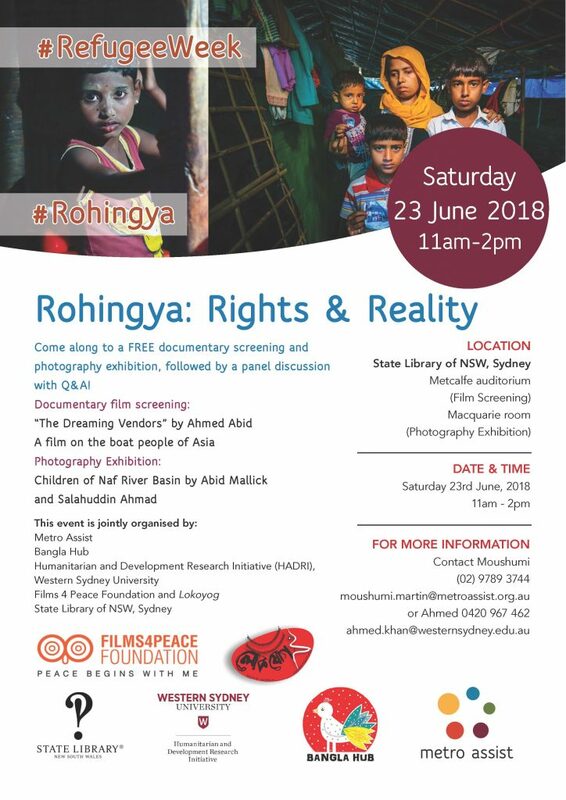 Come along to a FREE documentary screening and photography exhibition, followed by a panel discussion with Q&A! 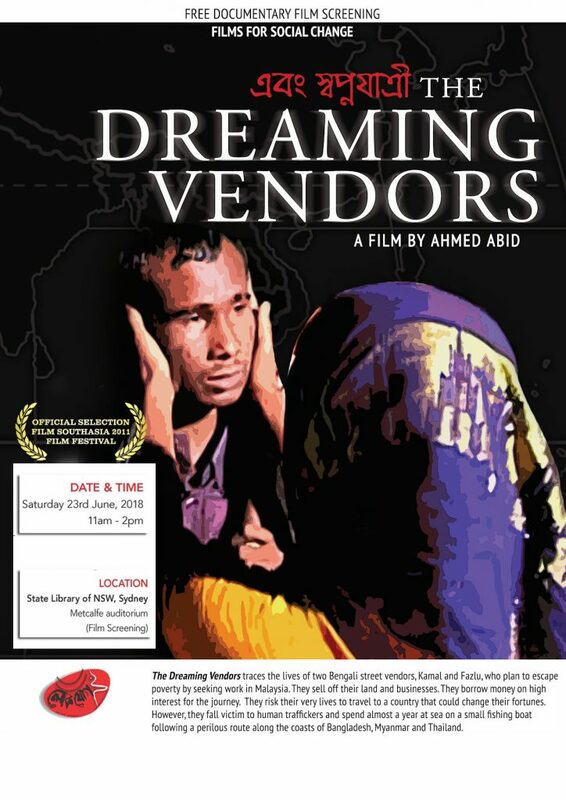 The Dreaming Vendors traces the lives of two Bengali street vendors, Kamal and Fazlu, who plan to escape poverty by seeking work in Malaysia. They sell off their land and businesses. They borrow money on high interest for the journey. They risk their very lives to travel to a country that could change their fortunes. However, they fall victim to human traffickers and spend almost a year at sea on a small fishing boat following a perilous route along the coasts of Bangladesh, Myanmar and Thailand. Your browser does not support the audio content. Pleas upgrade your browser.